Here in the Monastery “statio” is practiced before every time of prayer. It is that brief time of preparation before beginning anything. There is a great hallway where the monks gather daily before entering the chapel for Mass, Midday Prayer, Vespers, and Compline. 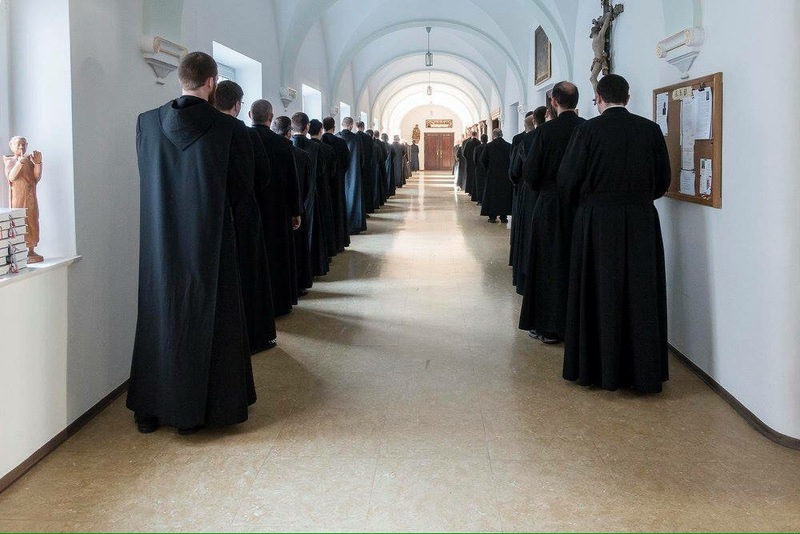 While the church bells are ringing all of the monks stand in order of their admission into the Monastery from the oldest to the youngest, with the Arch-abbot in front. All is quiet. All is in expectation for what is to come. Then, two by two they enter the chapel, blessing themselves and each other by passing on a few drops of holy water between them as they move forward towards the next moments of their daily routine. Today is my final day at St Otillien. As always I am filled with emotions of gratitude, and some sadness. As I sit here in the silence of the library, the window next to me is open and looks out into the beautiful Bavarian countryside. A reminder that God is in each and every place we reside. The morning air is fresh, and speaks of the gentle breeze of the Spirit that accompanies us day in and day out. My time here at the Monastery I see as a ‘Statio’. It has been a long pause in between my regular and active life and ministry in the church. It has been an affirmation of my Benedictine life and commitment to my own Community (the New Benedictine Community) and with all Monastics around the globe who seek with all their heart to know God deeper and better. I am Reminded that Monasticism no matter what form it is expressed, has such an important role to play in our society where there is no ‘statio’. No waiting, no listening, no pausing to see where we are being lead or invited to go. What do I take away this week? As always, new ideas about how I want to live into the rest of the year. 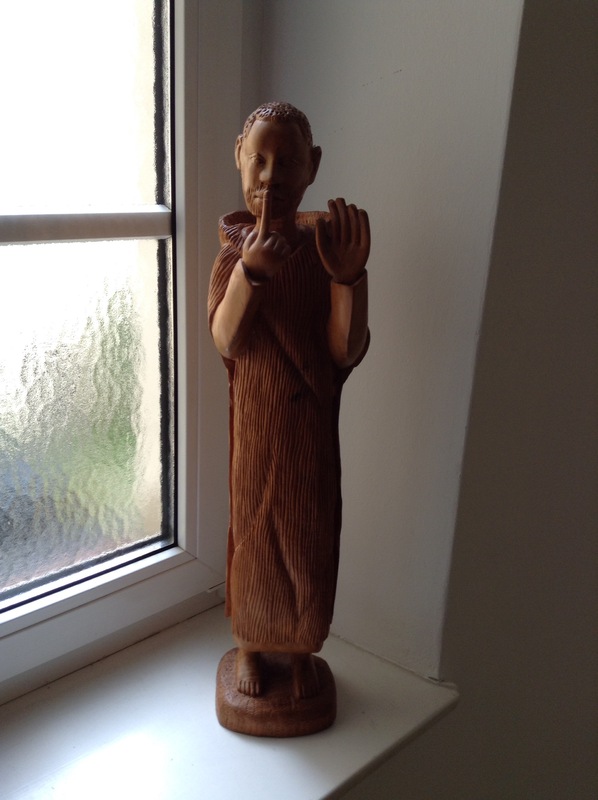 To eat better, to enjoy meals in quiet and in peace, to continue my daily cycle of Monastic Prayer, to walk and bike daily, to help my parish to become a better ‘praying community’, with more earnest and focus, not just to ‘say or do’ the Liturgy every Sunday. To find more opportunities to reach out and feed the hungry where ever they may be found. To cook and prepare food for the hungry, on a regular basis. To continue to be hospitable to all I meet and see on a daily basis no matter how challenging that might be. Here are just a few things that I believe I can continue to do, and to do better. All this thanks to my time here at St. Otillien Arch-Abbey. I did not leave my surroundings to get away from God, or my busy life, but to find God again in the simplicity of creation, beauty, silence, prayer, and reflection. I know that this same experience is available to me each and every day; day in and day out in very small doses each day that I get out of bed and live into the fullness of a daily schedule. For that I am eternally grateful. I also know how much I need these spaces of tranquility and preparation for whatever the future might bring. PICS. This is the hallway where the Monks gather daily before prayer begins in silence, and in preparation for what is to come. It is the daily practice of ‘statio’, standing still and becoming present to ones surrounding, it is ‘mindfulness’ at it’s best.